Every day you’re hard at work. You take care of yourself, but also like to take care for others. But to be honest, you would like to have a couple of days off. Time to rest, take care and think. Think about your dreams, gifts and talents. Recognize yourself? Come and join our Mountain Adventure! During the Mountain Adventure you will be cared for (spoiled, actually) and physically challenged, so you can grow spiritually. Be prepared to receive! Our cuisine is excellent! Your residence in the Move Your Mountain cabin at an altitude of 16oo meters, is comfortable. And, you will have enough time for yourself. You undertake exciting outdoor activities and have two walks (duration: 5 hours each). The trails will lead you through the magnificent nature, and will from time to time lead you on steep paths. Don’t worry though, it will never be dangerous. During these walks there will be sufficient time to relax and enjoy the beautiful surroundings. The mix of challenge and rest will provide an atmosphere to grow spiritually. A new vision on faith, spiritual well-being and functioning. Although we work from a Christian perspective, we believe that what we share will benefit anyone including those that have a non-churchgoing background. Prerequisite to join this adventure is a good physical condition. Meaning: you have to be in shape and have no trouble completing a brisk walk. It might come in handy if you have experience walking in the mountains, but then again it’s not obligatory. Weather conditions can be of influence on the severity of the hikes. 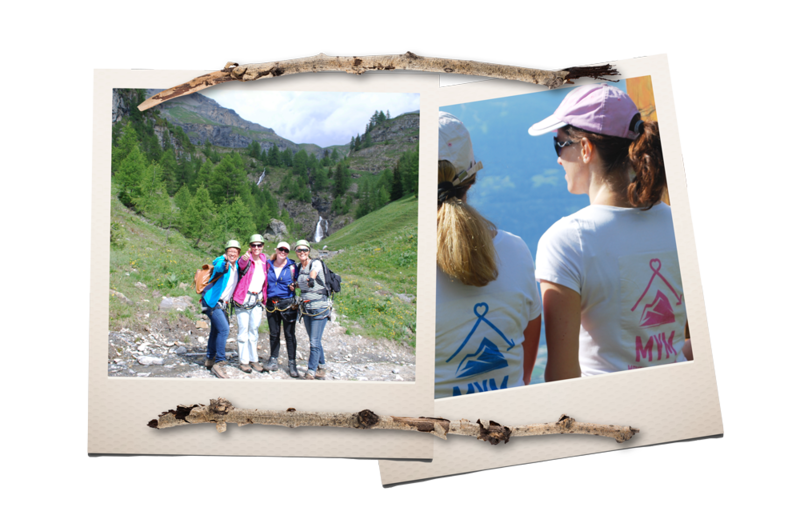 The Move Your Mountain Team will guide and support you during your stay in Switzerland. The mountain activities will be guided by accredited Swiss mountain guides. Did you join Mountain Adventure 1, but are still up for a new challenge? This is your opportunity! Go for the in-depth experience and surrender again to a 4-day Mountain Adventure. Join us high up in the mountains and let nature carry you along. Surround yourself with tranquility, be overwhelmed by the venue, experience peace, as you stay and sleep in the mountains. Discover and embrace the plan for your life. The Mountain Adventure 2 is a serious challenge, but you ill be well taken cared for! Our cuisine is excellent! Your 2-night residence in the Move Your Mountain cabin at an altitude of 16oo meters is comfortable, yet the one night in a simple cabin is more sober. And, you will have enough time for yourself. You undertake exciting outdoor activities and have two walks (duration: 5 hours each). The trails will lead you through the magnificent nature, and will from time to time lead you on steep paths. Don’t worry though, it will never be dangerous. During these walks there will be sufficient time to relax and enjoy the beautiful surroundings. Your continued spiritual growth, deepened vision on faith, spiritual well-being and functioning is built on the foundation laid in Mountain Adventure 1. Prerequisite to join this adventure is a good physical condition and no fear of heights. Even though you participated in Mountain Adventure 1, having extra experience walking in the mountains is desired. Weather conditions can be of influence on the severity of the hikes. The Move Your Mountain Team will guide and support you during your stay in Switzerland. The mountain activities will be guided by accredited Swiss mountain guides. 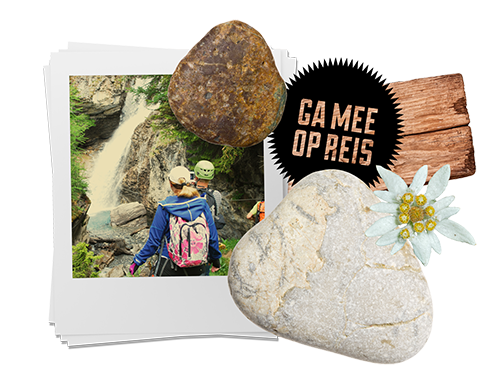 Four days in the mountains at € 525,- per person. As soon as we have the minimum number of 10 participants, we will go. The maximum capacity is 18 women for Mountain Adventure 1. Four days in the mountains for € 575, – per person. As soon as there are 12 registered participants, we will go! Two nights in the Move Your Mountain accommodation and 1 night in a simple mountain cabin. Transport to Switzerland. We are happy to inform you about the most convenient travel options! Send an email to info@moveyourmountain.nl. Next you will receive a registration form and an invoice. After completing, signing and returning the registration form, and payment of the requested amount, your registration is finalized. You will be refunded fully (100%) any payment already made to Move Your Mountain pertaining the registered event, minus € 75,– admission and registration fees. You will be refunded 50% on any payment already made to Move Your Mountain pertaining the registered event, minus € 75,– admission and registration fees. Ga jij in 2017 met ons mee?